The Padma Awards are India’s highest civilian honors and are announced every year on the eve of Republic Day. Conferred on recommendations made by a committee constituted by the Prime Minister of India, these awards are given in three categories – Padma Vibhushan, Padma Bhushan, and Padma Shri. Instituted in 1954, the Padma Awards recognize people in various fields and disciplines that involve an element of public service. 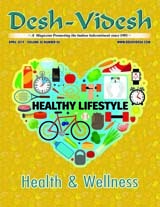 Padma Vibhushan is awarded for exceptional and distinguished service, Padma Bhushan recognizes distinguished service of a high order, and Padma Shri is for distinguished service in any field. These awards recognize exceptional and distinguished achievements and work in various fields such as social work, art, science and engineering, medicine, literature and education, trade and industry, sports, etc. 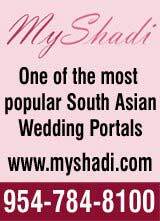 While the awards are announced on the eve of Republic Day, the presentation ceremony is held in March or April. Awardees are given a certificate signed by the President along with a medallion. 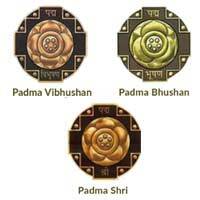 This year, 112 Padma Awards were announced including 4 Padma Vibhushan, 14 Padma Bhushan and 94 Padma Shri Awards. The Padma Awards can be given to Non-resident Indians (NRIs), foreigners and OCIs (Overseas Citizens of India). This year, 6 awardees were from the United States. The former chairman and CEO of Cisco Systems, John Chambers was awarded a Padma Bhushan in the field of Trade and Industry for his contribution and support to India-US trade relations. 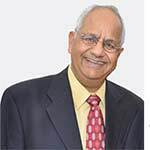 He is the founder and CEO of JC2 Ventures and the Chairman of the US-India Strategic Partnership Forum. Chambers has always been a vocal supporter of Indian start-ups, by offering advice and capital. He has won many awards for his leadership, including Clinton Global Citizen Award and Edison Achievement Award for Innovation. He was number two on the list of Best-Performing CEOs in the World in 2015 by Harvard Business Review. Shantanu Narayen is Chairman and CEO of Adobe, Inc, and was awarded a Padma Shri. Born in Hyderabad, Narayen began his career at Apple and has been with Adobe since 1998. He joined Adobe as the senior Vice-President of worldwide product research and was promoted to his current position in 2007. Narayen was also appointed to the Management Advisory Board of former U.S. President Barack Obama in 2011. He is also the Vice Chairman of US-India Strategic Partnership Forum (USISPF). He was ranked number 12 on Fortune’s “Businessperson of the Year” list in 2018. 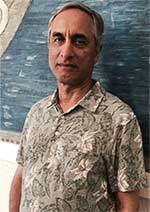 An Indian American computer scientist, Subhash Kak is a Regents Professor, who has made significant contributions to quantum information and artificial neural networks. His research fields also include cryptography, random sequences, and information theory. In 2018, the Prime Minister of India appointed him a member of the Science, Technology and Innovation Advisory Council. He has also written an autobiography The Circle of Memory. He was awarded the Padma Shri. 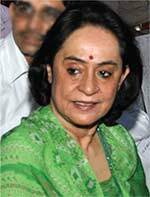 Gita Mehta, an Indian American writer, was awarded a Padma Shri in the field of Literature and Education. She is the daughter of former Chief Minister of Odisha, Biju Patnaik, and sister of Naveen Patnaik, the current CM of Odisha. 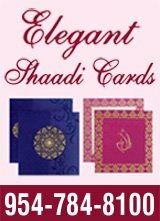 She has written a number of books including Karma Cole, Raj, A River Sutra, among others. Apart from books, she has worked on 14 television documentaries for the United Kingdom as well as European and US networks. She was also a former war correspondent for the US network NBC. Another Padma Shri awardee in the field of Literature and Education, Ganpatbhai Patel is the patron-in-chief of Ganpat University in Mehsana, Gujarat. He is also the founder and chairman of Cherokee International in California. A self-made man, Mr. Patel was born in Gujarat. After completing his education in India, he moved to the USA for a brighter future and further education. Apart from being a patron donor of Ganpat University, he also supports Ganpat Voluntary Teaching Movement (GVM), which adopted eight villages in North Gujarat to provide support to lesser-privileged students. An American yoga master of French and Indian descent, Tao Porchon-Lynch has been named for a Padma Shri Awardee for her distinguished service in the field of yoga. Even at the age of 100, Tao takes regular yoga classes in New York. She has even authored two books on the subject. 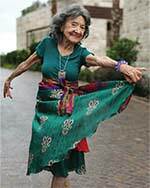 In 2012, Guinness World Records named her the Oldest Yoga Teacher. Tao is the founder of Yoga Teachers Association (USA). She was honored at the United Nations on Women’s Entrepreneurship Day and has also received the Yoga Ratna Award in Bangalore.